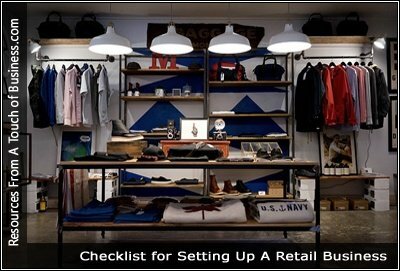 This is a checklist to help you get your store ready for business (not in any particular order). This checklist is assuming you are ready to open soon, you have you a plan in place, you have your inventory ready and most of you planning is complete. You just want to make sure you haven’t to make sure you haven’t missed anything important. Your electrical wiring and appliances are all in place and working. Your flooring is finished, treated, and clean. You have set up shelving in a way that is convenient for customers. Your decor that complements with your business theme along with necessary furniture. You get the proper signs for your store, inside as well as outside. Your cash resisters work. Do a test run. You have your float (cash) ready. Your credit card terminals work properly. You have bags ready for products purchased. Your staff is trained and ready. Your shelves are stocked and items priced. Your store is has certified safety regulations in place. You have obtained all the proper permits for your business. You have a grand opening sale in place; it’s good marketing. A good retail store layout starts on paper, where you work out building specs, customer traffic flow, product placement, and more, before ever installing a single display. Thoughtful planning lets you explore options and create a store layout that encourages customers to browse and buy. Ever walked into a big chain store and walked out with way more than you had planned to purchase? Big retailers certainly seem to know how to design their stores and create tempting displays to keep us shopping.What’s their secret? Here are six tips for creating an optimal retail store layout. 1. Don’t place merchandise in the “decompression zone.” When U.S. consumers enter a store, they tend to turn to the right. People aren’t likely to visit your shop if they don’t know where it is and what you sell. When opening your first retail store, you’ll need at least one outdoor sign with your store name and logo. And you should also have some indoor signs indicating different items and categories so customers can easily find their way around. While I don’t believe in. “Build it and they will come,” I do believe if you go in with your eyes open, you can have it all. I’ve met thousands of business owners from all over the world who prove it.